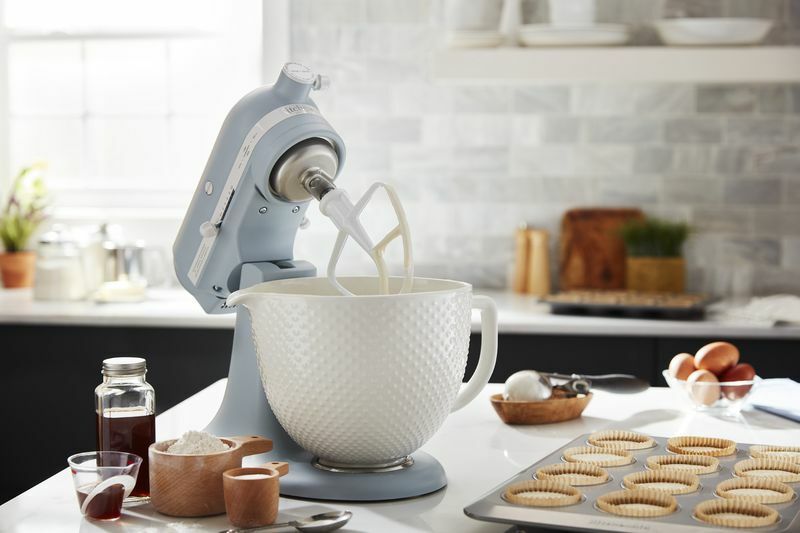 Misty Blue, a pleasing, soft hue with just a hint of green, is gracing the iconic stand mixer with two different bowl choices in addition to a freestanding range. The color’s meant to evoke one of the very first KitchenAid mixer colors ever introduced since the company’s start in 1919. A Misty Blue stand mixer in its retro glory. We think this will fit right at home. The steel bowl model is currently on sale for $399.99 while the ceramic bowl version is $499.99 on KitchenAid’s site. 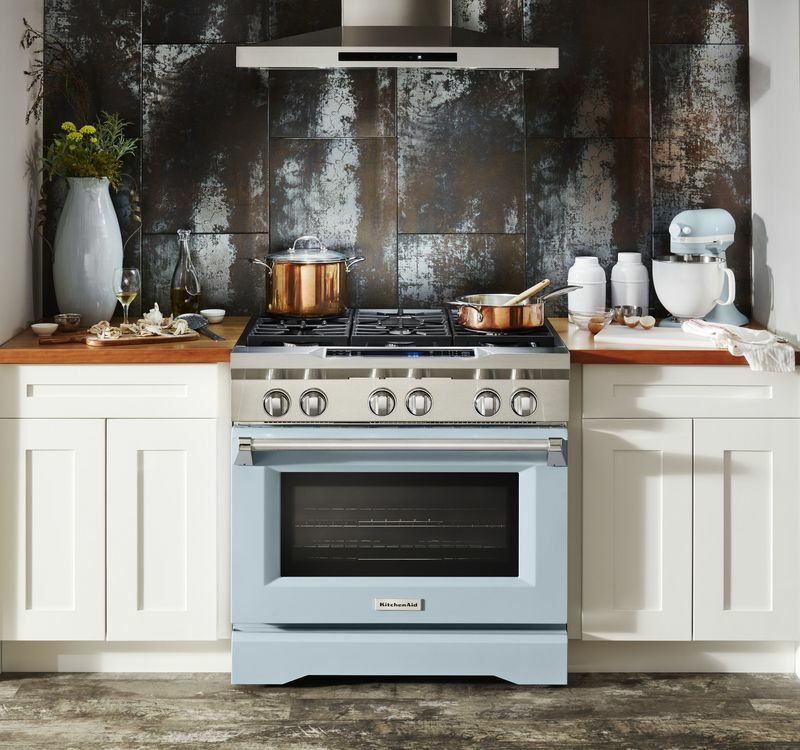 The 36-inch, 6-burner freestanding range and oven (with convection capability) will go on sale this fall, retailing for $7,699. What do you think of the new Misty Blue hue? Share your favorite KitchenAid color with us below!